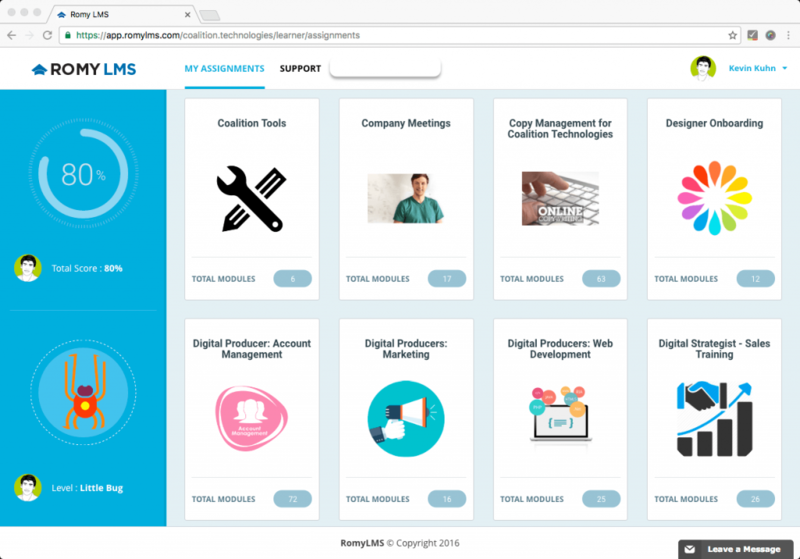 We recently went through an intensive redesign of the RomyLMS platform. While before our LMS was extremely streamlined and fairly easy to navigate, we thought we could do better. The new interface brings a more visual style and adds dashboards for both the Admin and Learner view. We’ve added an admin dashboard page to more visually navigate the system and replace the main home page. Our next major focus was on making the Learner experience more engaging. We changed the layout of courses to highlight their differences as well as integrating more progress elements into the side bar. The learner’s assignment page is now much more visually appealing. Learners now have additional options to sort their courses, including ‘In Progress’ and ‘Overdue’. We’ve also created a Learner dashboard page similar to the Admin dashboard page that gives users quick access to all their key functions. In addition to redesigning the user interface for the RomyLMS platform, we also changed some of the functionality and added some new elements. These changes fit into our theme of simplification and visualization for this system upgrade. 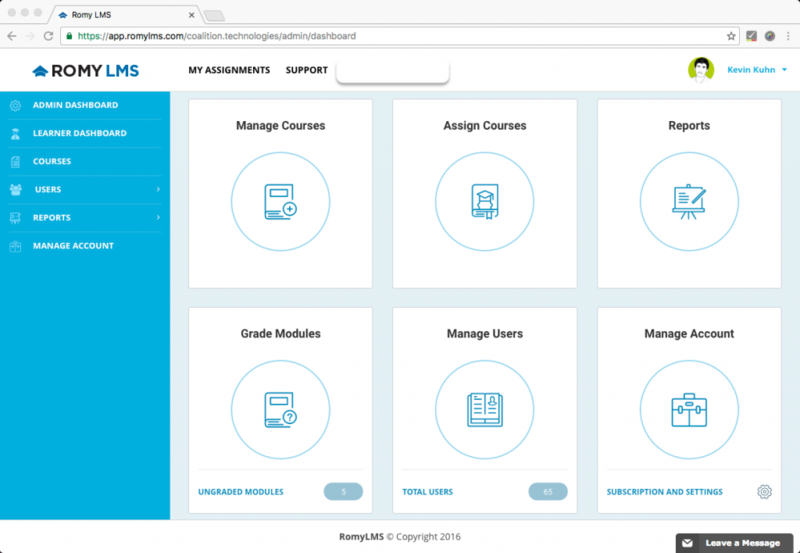 Creating courses in RomyLMS has always been easy, but we found a way to make it even more intuitive and streamlined. A major upgrade has been made to our course authoring tool, allowing for more freedom in creating content while making the interface simpler. We also split lessons and quizzes into two separate module types for clarification. This new feature is really fun and functional. Everywhere that you can reorder items, instead of manually setting their place, you can now simply drag and drop them into order. As you can see in the Learner UI image above, each course can now have its own individual image. This increases engagement for learners, and let’s be honest, finding pictures to represent your courses is really fun (moving gifs work too!). Gamification has proven time and time again to be an effective motivator for task completion. One of the most effective and informative elements of gamification is the progress bar. We added progress bars to courses and other areas to let Learners know exactly how much they have left to complete. Our main goal for this redesign was to make our system even easier to use. Although we set the bar pretty high with our previous design, we think we’ve accomplished our goal. 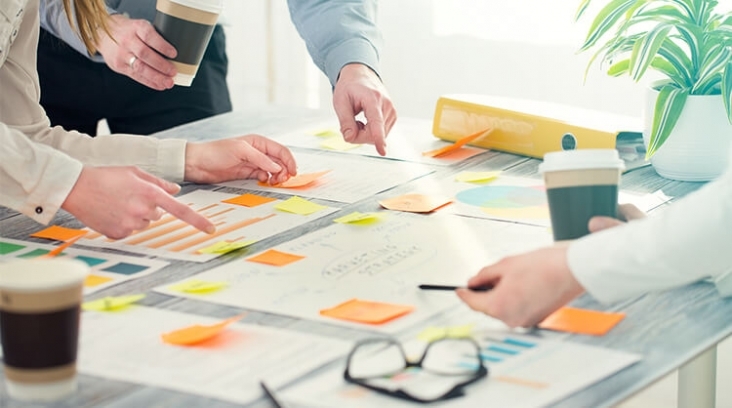 The current LMS market is dominated by legacy systems that require hours of training to learn. We will continue to focus on the core essentials to ensure we do not fall into the same trap they have of complexity and over-specialization. While the post above gives a general overview of the changes we’ve made, those are just some of the upgrades you will notice in our new platform. You can check out all of our additional changes by trying our demo, or registering for a free account here!